Animal Behavior Counseling Services Inc. 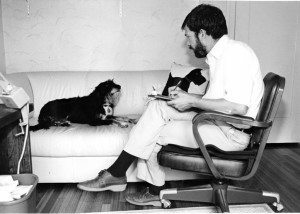 Animal Behavior Counseling Services, Inc. was founded in 1983, and later incorporated in California in 1986. The business set down its roots in Santa Monica, CA. and then moved to its current location in West Los Angeles. ABCS currently employs three individuals, including Richard Polsky, PhD, the President and founder of the business. 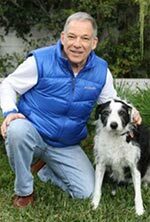 ABCS, under the direction of Dr. Polsky, has rendered animal behavior therapy and training services to over 12,000 dogs and cats. The majority of the behavioral problems treated in canines have been about inappropriate or excessive aggressive behavior. Other animal behavior problems treated have been mainly those dealing with fear in dogs and inappropriate toilet behavior and aggression in cats. In addition, thousands of dogs have taken part in the Head Start Puppy Training program held on Saturdays without interruption for 25 consecutive years in West Los Angeles. Dr. Polsky also provides temperament evaluation for dogs facing dangerous dog hearings. His research focuses on dog-owner interactive behavior in dog parks, shelter dog behavior and comparison about attitudes of people towards pit bulls in different parts of the USA. In addition, expert witness services are provided to attorneys in criminal and civil litigation. ABCS works with owners and their dogs and cats on a case-by-case basis. Owners and dog bite victims seeking assistance should contact Dr. Polsky. Home visits and office consultations are available by appointment. Treatment programs are individualized and based on a evidence-based approach utilizing scientific findings from the veterinary and animal behavior literature.